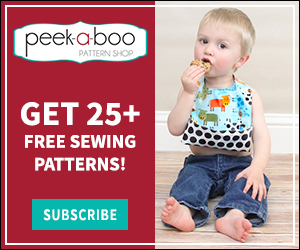 Sewing with PUL - Peek-a-Boo Pages - Patterns, Fabric & More! I am really excited to share some tips on how to sew with PUL (Polyurethane laminate). 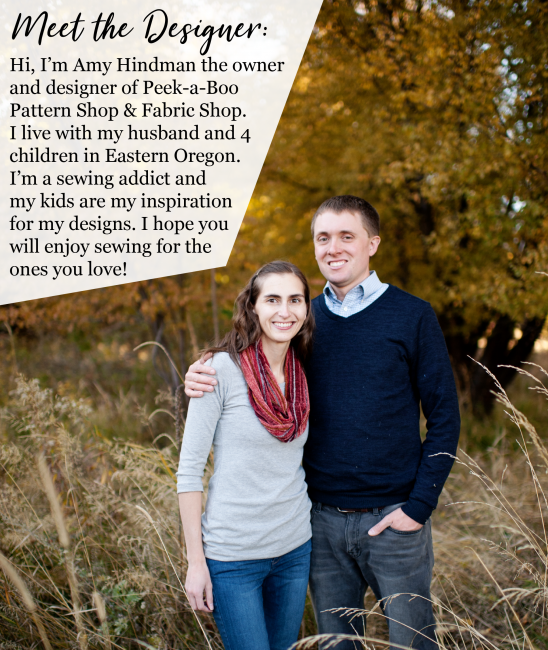 A little background about myself I started a sewing business over five years ago where I sew cloth diapers and cloth diaper accessories that I made. Before even venturing into sewing with PUL I did extensive research on the fabric and learned so much about the dos and donts through trial and error. I would love to share some quick tips with you here. PUL or Polyurethane laminate is a light polyester interlock that has a layer of laminate on the backside. 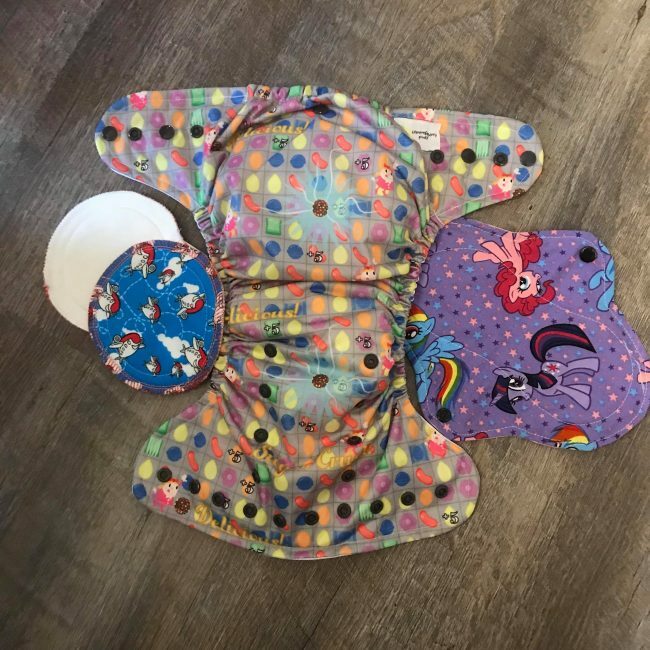 This really insures a nice product that you can use for things like cloth diapers, wet bags, sandwich bags, cloth pads, cloth trainers , nursing pads and mattress pads just to name a few. 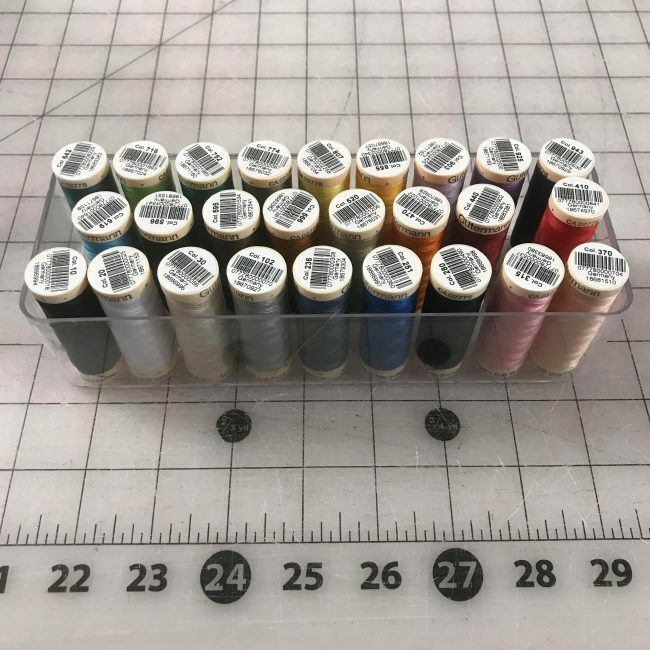 Because you generally use PUL for things that require it to be waterproof, you definitely don’t want to use pins to pin or mark the fabric. 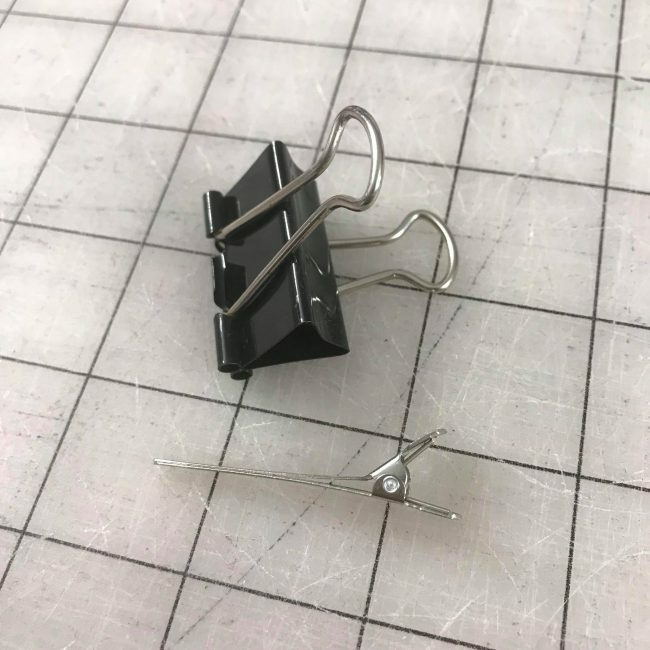 I personally use single prong metal clips to pin in place. I got mine at Sally Beauty Supply. You can also purchase wonder clips which also work really well. As far as needle size, you are going to want to use a ball point needle just like you would with knit. I like to use a size 11. When I am done sewing the items I like to heat seal but throwing them in my dryer on high for about 5-10 minutes. Note: you would NOT want to put the PUL in the dryer on high any other time. Some people have a hard time with the fabric slipping. I use a teflon foot when sewing PUL and I feel like it is a must! 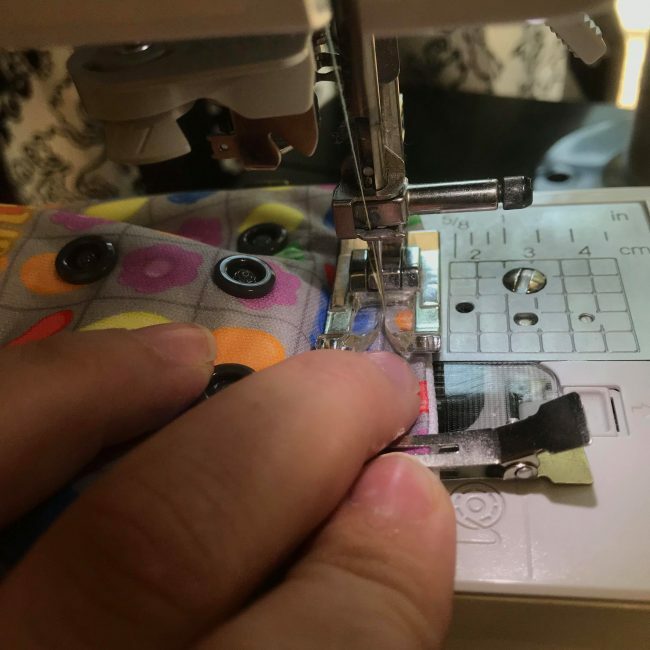 When I had a metal foot, I would take a piece of tape and place it on the bottom of the sewing foot and it would glide the fabric through with no issue. If you really want to invest, get a walking foot for your sewing machine. I haven’t ever needed one but I know some people swear by them. You will want to use polyester thread since a cotton one can cause the item you make to leak at the seams. * Having the wrong size needle can cause that too. I really like the polyester gutterman thread you can find at your local Joanns store. I recommend washing pul on cold/warm water with a softner free detergent and either air drying or drying on low. DO NOT dry your PUL on high heat it will case it to eventually crack and break the laminate and sometimes it will melt it depending on how hot your dryer gets. There you have it! I hope this information is a good start for you to tackle your first PUL project. I promise it isn’t hard, just a new and exciting material to work with if you have not already done so.